Mark Twain once said, "You can go to heaven if you want. I'd rather stay in Bermuda." And there's no better place to experience Bermuda's beauty than Hamilton Princess & Beach Club, a Fairmont Managed Hotel. From the moment you're greeted at the door, there's little for you to do other than unwind and absorb the island's tranquility. 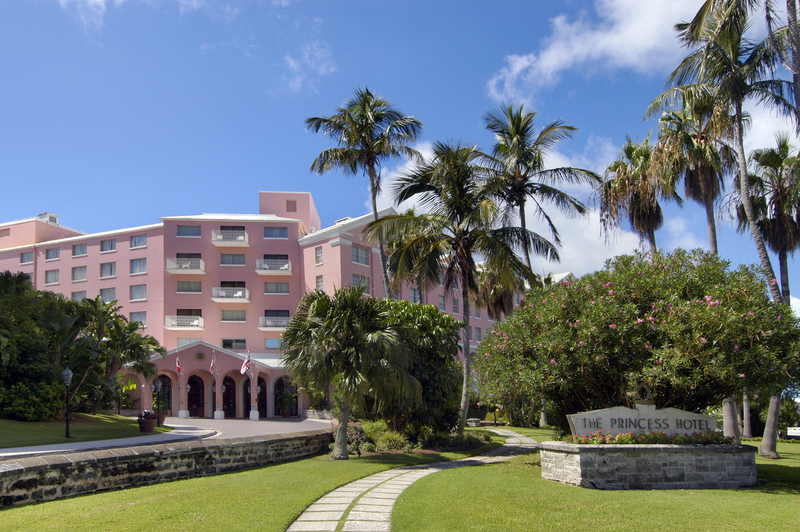 The Hamilton Princess & Beach Club, known affectionately as "The Pink Palace," has been hosting guests since 1885. You might find yourself reading on the veranda where Twain recited poetry to fans. Or dreaming in the bedroom where Ian Fleming sketched Dr. No before heading down to saunter along the shoreline. The Pink Palace is in and of itself a work of art, and if you thrive on culture, it envelops you here. The atmosphere is enriched with original works by artists, including Liu Ye, Damien Hurst and Nelson Mandela. You can gaze at Andy Warhol's Flowers and mingle with fellow travellers over classic afternoon tea at Crown & Anchor Bar, Restaurant and Terrace. 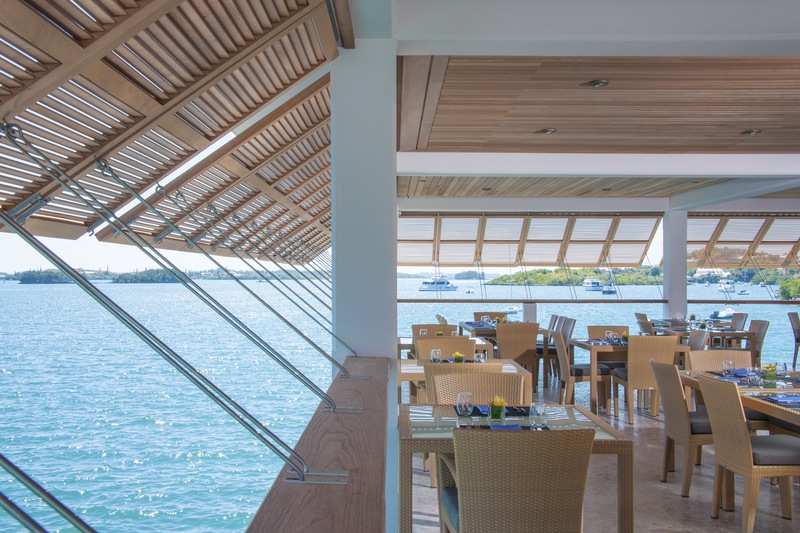 After digesting those cucumber sandwiches, sip a Bermuda Rum Swizzle as you wander among the real flowers in the landscaped gardens overlooking the marina. The collection rotates, so the next time you visit, one of Yakoi Kusama's pumpkins could be offering you a colourful welcome in the entryway. 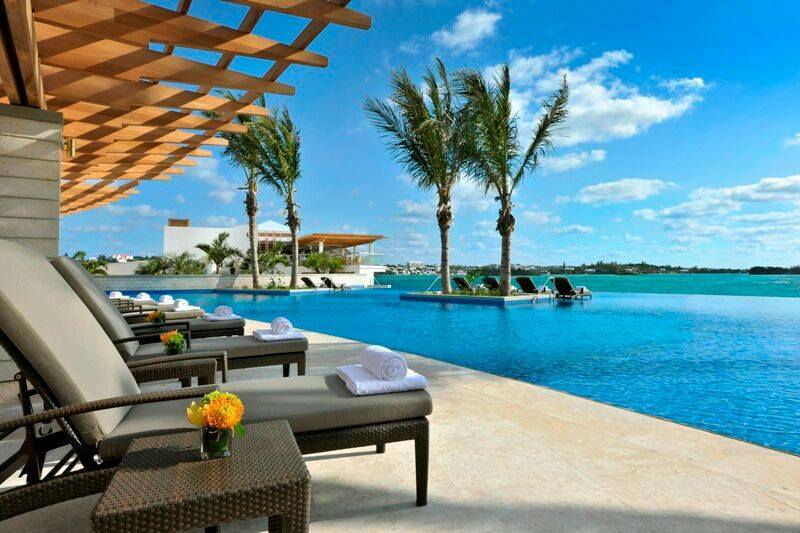 In addition to luxury, the Hamilton Princess & Beach Club offers proximity. You can enjoy views of the harbour from the saltwater infinity pool or take an 11-minute stroll into the city of Hamilton. Once there, you can shop for local treasures at the Urban Cottage. This shop is a must-see for Bermuda visitors, as it features a blend of creatively fashioned new and vintage home decor and gifts, as well as local apparel. Get to know Hamilton by making your way to Front Street where you can take a horse and carriage ride around the city. You'll listen to the chirping of tree frogs intermingled with clopping hooves as your driver points out areas of local interest and lore. 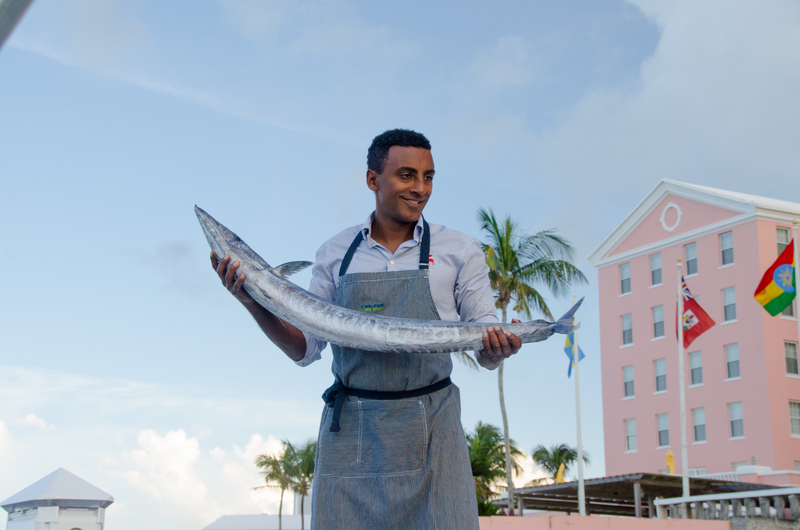 To taste the best of Bermuda, you don't have to go farther than Marcus', celebrity chef Marcus Samuelsson's newly opened on-site restaurant. Treat your palate to a menu that celebrates Bermudan culture with selections such as fish chowder bites with rum aioli and jerk pork belly with quail eggs and stewed fava beans, paired with twists on local cocktail classics including the Darker and Stormier. If you're looking for harbour views and open-air dining, 1609 Bar and Restaurant is the place to go. Here you can savour ceviche, sandwiches and lighter versions of seasonal favourites. Hamilton Princess & Beach Club's 1609 is known for its inventive interpretations of island libations, so make sure you sample a Passion Fruit Mojito or a 1609 Frozen Rum Punch. If you're headed into Hamilton, visit Port O'Call and Pearl for sushi, cocktails and classy vibes in a double-decker setting. Those looking for a more laid-back feel will find amazing fish sandwiches at Art Mel's Spicy Dicy Restaurant, recommended by the one and only chef Marcus Samuelsson. A seductive island is the ideal backdrop to your love story, and the Hamilton Princess & Beach Club ensures every occasion is a special one. Whether you imagine rose petals and champagne waiting in your suite, a private dinner at the Princess Beach Club or a chartered sunset cruise, the concierge can help you with the arrangements needed to make fantastic memories. 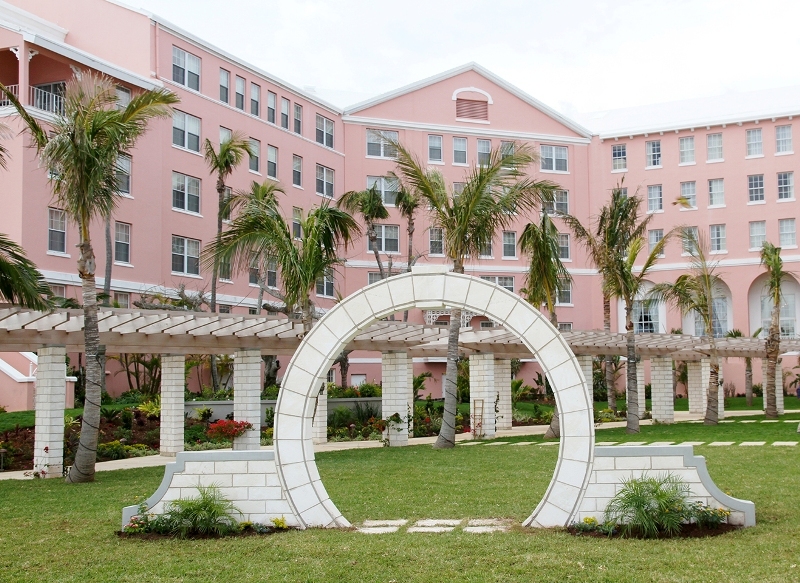 And if you’re a newlywed, be sure you follow island tradition and walk through the hotel's moongate for good luck. Most travellers come to Bermuda for the beaches, and with good reason; their beautiful sand and sapphire waters promise an experience like no other. At the Pink Palace, they have a private beach club just for guests. Sheltered in Sinky Bay, you can escape the bustling city and gently sway in a hammock with a drink in hand, as you listen to the waves lapping the shore. For guests looking to get active amid serene surroundings, they offer a range of options from kayaking to paddle boarding and snorkeling. If you're looking to explore more of the island, the concierge can arrange rum-tasting tours, glass-bottom boat tours, private dives of reefs and historic shipwrecks and eco-tours. One stop no visitor should miss is the Crystal Cave and its clear, underground lake. As you peer into the water from a pontoon pathway in the cavern, you'll see glimmering formations that appear to be close enough to touch. In fact, they're more than 50 feet below. 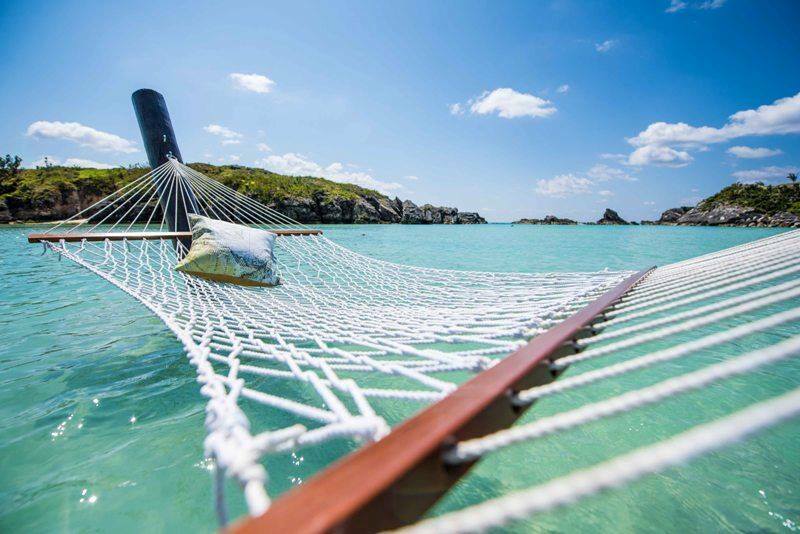 After marveling at the crystalline stalactites, you can top off the perfect day, and perfect Bermuda holiday, watching the sun sink down into the water from the pink sands of Horseshoe Bay Beach.